“Cheese. Cheese. Cheese. Cheese.” is a common refrain heard in this household. Stacey’s toddler loves his cheese. Considering he flat-out refuses to eat beans and meat, cheese is one of his few protein sources. He’s fallen in love with cottage cheese in particular. And pancakes! How this child loves pancakes! 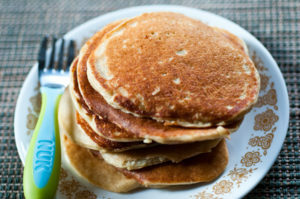 Buttermilk, pumpkin, if it’s a pancake, he’ll eat it. It’s not unusual for toddlers to begin to shun some protein sources, especially meat. The key is to continue offering a variety of foods for exposure and balance, but allow them to choose whether they’ll eat it and how much. 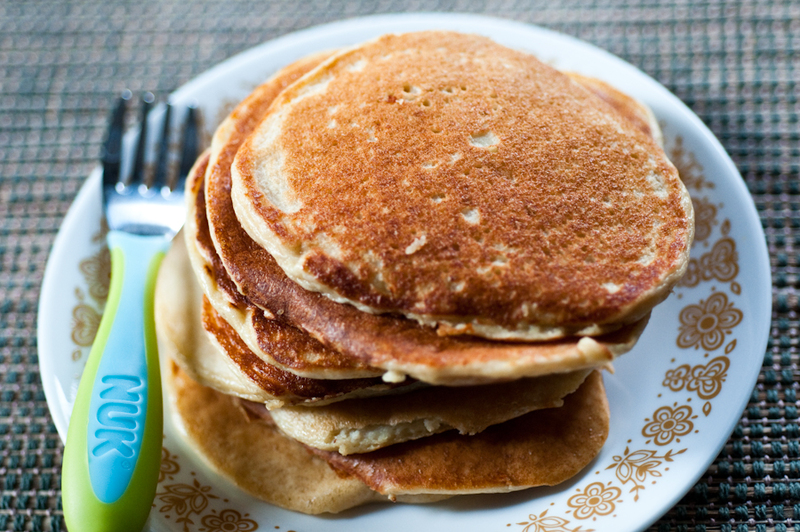 Finding alternatives for protein allows for some creativity, like the recipe for these pancakes, that includes protein in a familiar, and more readily accepted form. But don’t stop serving the meat, beans and other protein foods your family enjoys. 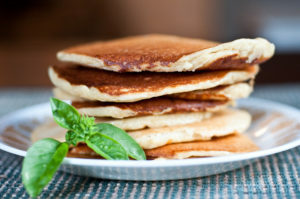 Do you have a recipe for pancakes that sends your family over the moon? These are GORGEOUS! Your pancakes turned out so much prettier than mine. :) Perhaps it’s lovely color from the honey? I’m so glad that the little man loves them and you’ve gotten the recipe just right for your family. Pancake high-five!